Sole advisor to One97 Communications for second round Private Equity funding from Intel Capital and SVB. One97 Communications, India’s largest & most widely deployed telecom applications platform company, has announced that Intel Capital & SVB India Capital Partners have invested in the company for a minority stake. One97 will use the proceeds to fund its continued growth, including new product development & acceleration of its domestic & global expansion plans. One97 will further enhance its R&D and technology operations in area of Next Generation Wireless Networks. India is the fastest growing telecom market in the world adding over 9 mn subscribers per month; the subscriber base has increased by 40x from 6.5mn in FY02 to 261 mn in FY08 & is expected to grow to 559 mn by FY11. The VAS (Value Added Services) market in India is at an inflexion point; with falling ARPUs all telcos are shifting focus towards VAS. Although currently fragmented, the overall market is expected to grow at 50% per annum over the next few years & is expected to gain significant share within the overall telecom market. One97 is a leading provider of telecom applications including managed VAS on its technology platforms. It has a comprehensive suite of solutions across the telecom VAS value chain with products and services offering Telco solutions to Telecom Operators and Enterprises. The Company manages over 1.5 billion transactions, by 200 million unique subscribers on its technology platform every month, reaching over 97% of the mobile subscribers in India. One97 is also the undisputed industry leader in VAS up-selling with more than 80% market share. This is the second round of funding for One97 & Avendus Capital was the exclusive financial advisor for the transaction. The company had earlier received funding from SAIF Partners & SVB in 2007. One97 is India’s largest & most widely deployed telecom application platform reaching 97% mobile subscribers in India. Every month 200 million unique subscribers perform over 1.5 billion transactions on this platform using Voice, SMS & WAP applications. The focus of One97’s is to enable telecom networks to emerge as the best & the most used media to deliver content, information & intelligent transactions to consumers. 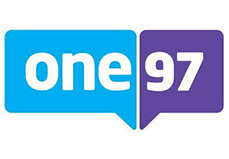 One97 offers smart services to telecos as a medium for communicating with their customers & enabling business processes. Since 1991, Intel Capital has invested more than $7.5 billion in approximately 1,000 companies across 45 countries. In this timeframe, 168 portfolio companies have gone public on various exchanges around the world & 212 were acquired or participated in a merger. In 2007, Intel Capital invested about US$639 million in 166 deals with approximately 37% of funds invested outside the United States. Intel Capital has made a number of well known investments around the globe. These include Actions Semiconductor, Bellrock Media, Broadcom, CNET, Citrix Systems, Clearwire, Elpida Memory, FPT, India Infoline, Inktomi, Insyde Software, Integrant Technologies, Marvell etc. For 25 years, SVB has been dedicated to providing global financial services to some of the most innovative & entrepreneurial companies in the technology, life science, private equity & premium wine industries. SVB offers a full range of sophisticated banking & investment services, but what sets them apart from others is their innovative approach & deep commitment to helping entrepreneurial companies of all sizes, & at all stages, grow their businesses around the world. Over the years, they've built an unparalleled network of relationships with companies, service providers, venture capital & private equity firms.